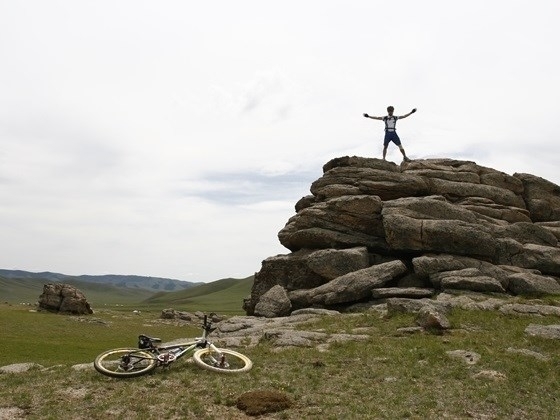 "Bike" the beauty of Mongolia! The outstanding balance should be settled 60 days before the departure. 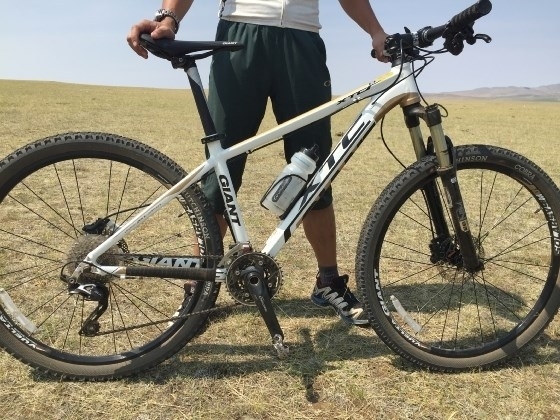 "Bring your own bike" discount: $300/person. 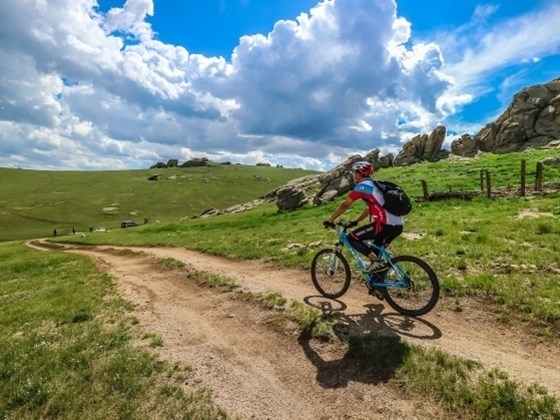 Each bicycle counts as one piece of checked luggage, but will not incur an oversize fee. All excess baggage charge to be paid at the airport directly (subject to the flight capacity, please check with us before departure). **No single room will be provided at Ger Camp. Arrival with MIAT Mongolian Airlines, transfer to Bayangol hotel for check in, then having welcome dinner and trip orientation. 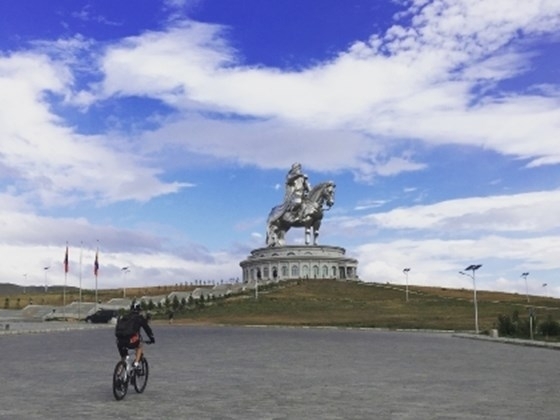 After breakfast, 1.5 hours transfer east of Ulaanbaatar to a 40 meter silver statue of Chinggis Khan. 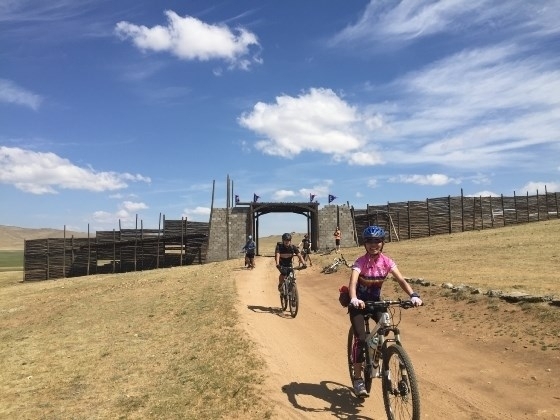 Upon arrival while the bikes are being assembled you may visit the statue and climb up to an observation platform two thirds of its height and enjoy a panoramic view of the surrounding hilly steppes. 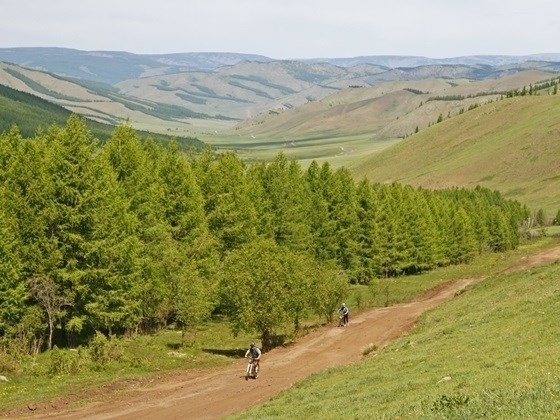 We then start riding along the Tuul river which is one of the major Mongolian rivers eventually emptying in to lake Baikal in Russia. 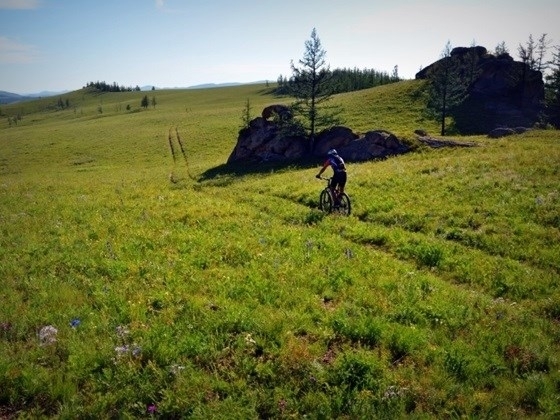 As the area marks the southern edge of the Siberian mountains we cycle across rolling hills and lush meadows with some wooded mountains as a backdrop. 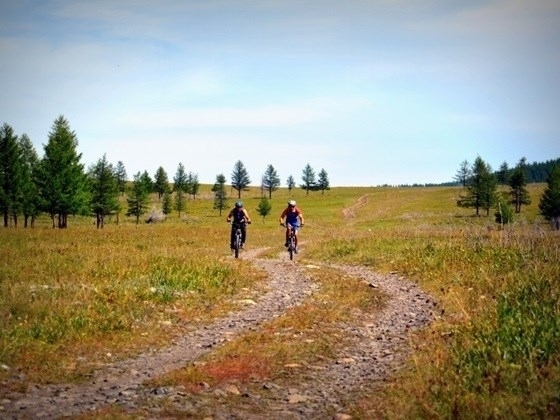 Invariably we ride on smooth car tracks, at times slightly sandy and at times muddy depending on how much rain had fallen. 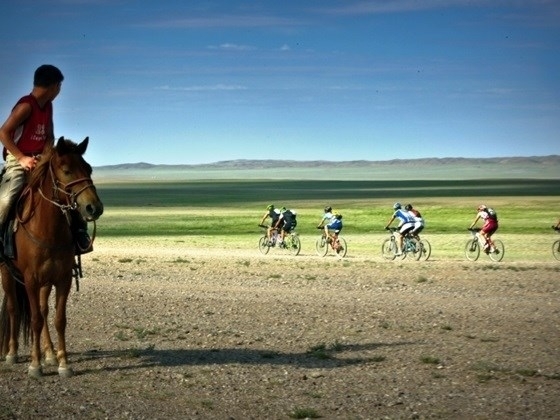 As you bike you will catch a glimpse of a life that has seemingly not changed for a few hundred years. 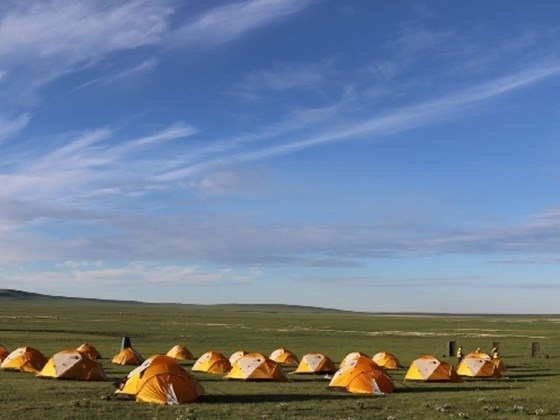 Large flocks of yaks, sheep and goats roam the area and circular tents of local herders can be seen from time to time. 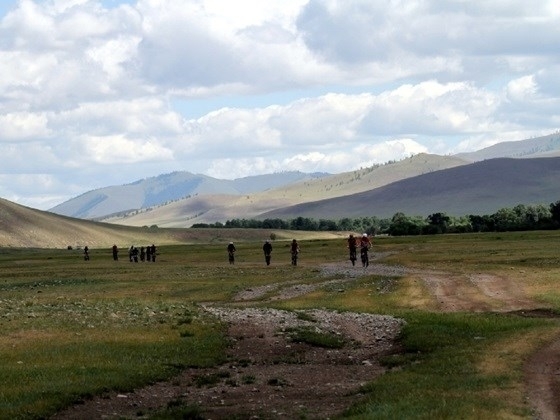 This morning as a warm up we have a few insignificant uphills and after lunch climb the highest point of the days route at 1750 meters followed by a breathtaking descent in to a wide open valley. 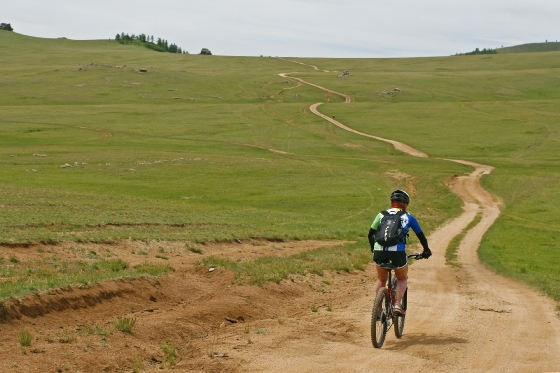 20km easy roll will bring you to your first tented camp in the Bayangol valley. 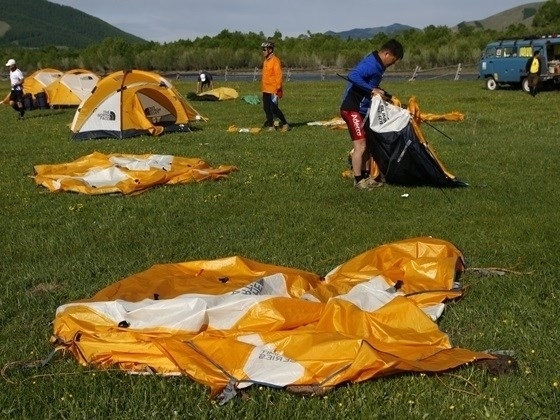 Here we erect our tents and take a shower before dinner. Minutes after departures we visit a house/ger of a local herding family so that you learn about the lifestyle and traditions of Mongolian nomads. 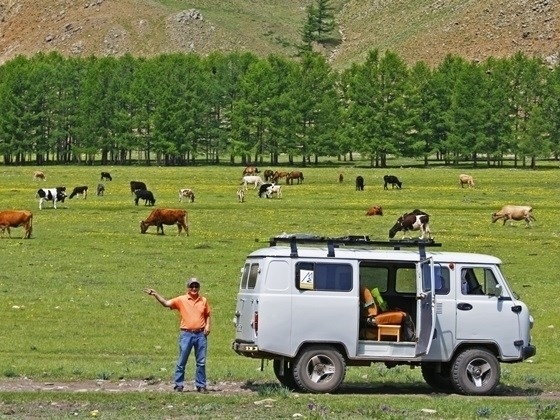 You can taste milky tea, sample dairy products and with some luck have a sip of fermented horse milk. 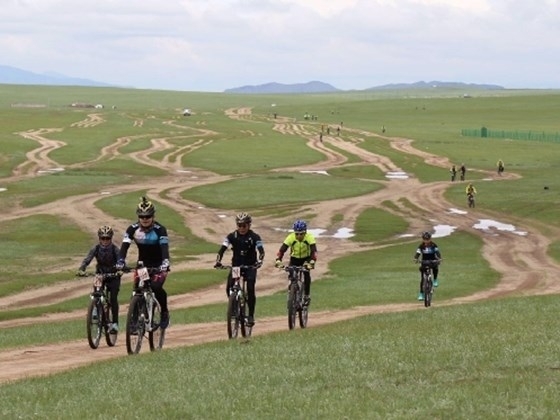 We then continue heading south across open steppe grassland and by 11am arrive to the "XIII century Mongolia" theme park. 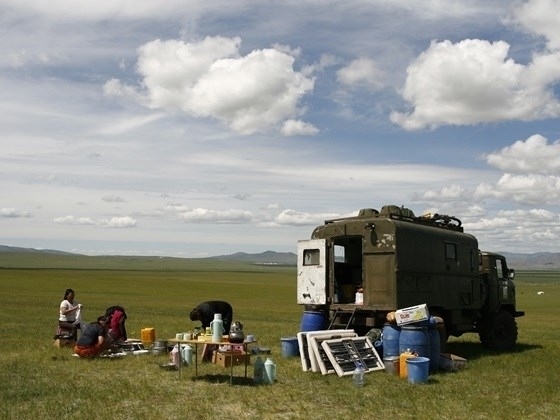 It consists of several ger encampments each showcasing an aspect of medieval life of Mongolia. 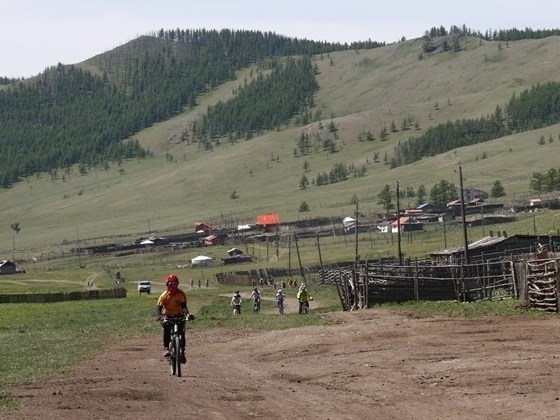 "Horse relay station" is where you can get your photo taken in traditional clothes and armor, "Craftsmen camp" introduces you to traditional smith, wood and leather work, at the "Educational camp" visitor are introduced to traditional calligraphy and games. The last station is the "Khan's Palace" - a huge big ornate ger decorated with medieval costumes and warrior implements. Here you may try royal costumes on and test your archery skills etc. Each station is about 500m from each other so we take short rides to visit them. 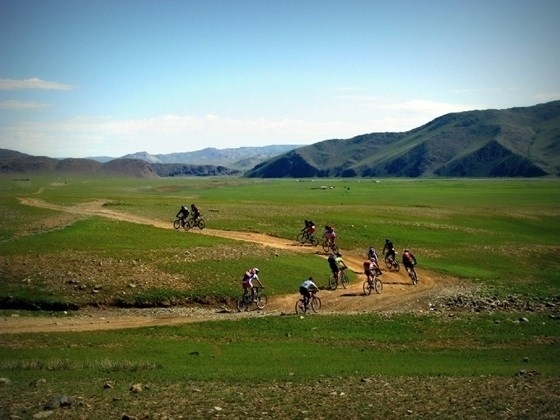 After completing the visits we have an easy 5km roll to our next tented camp. Dinner and overnight. We make a turn back north today. Again we take easy ups and downs across grassland. 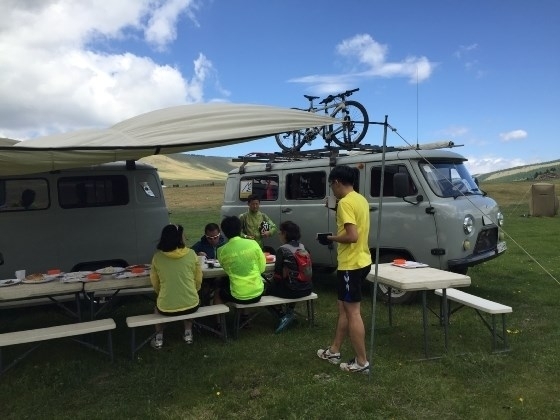 We will serve a snack stop nearby some granite boulders as a backdrop before taking the highest climb of the tour at 1830meters above sea level. 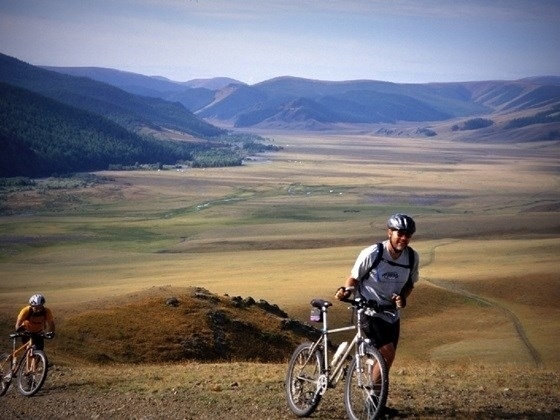 Weather permitting we have lunch at the top of the pass and enjoy great panoramic views of Mongolian steppe land. 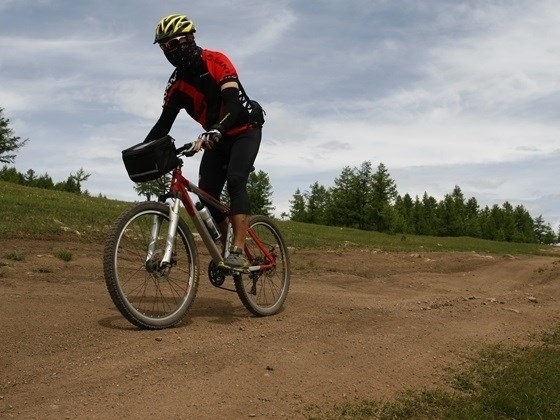 A 3km steep descent is ridden by rain water ditches so use your breaks!!! 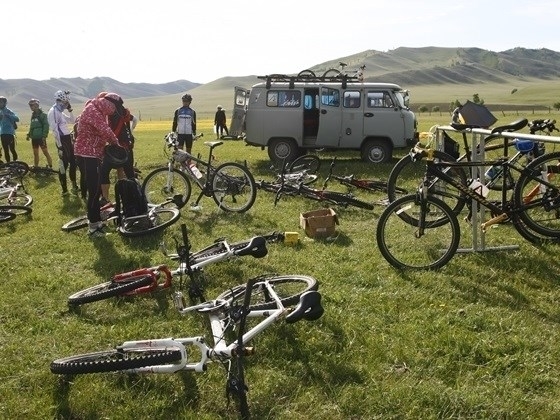 When at the bottom of the descent we roll for 10km across open country before arriving to a cozy hotel comprised of traditional felt covered tents known as gers. This will be your chance to feel the special atmosphere of the steppe house. 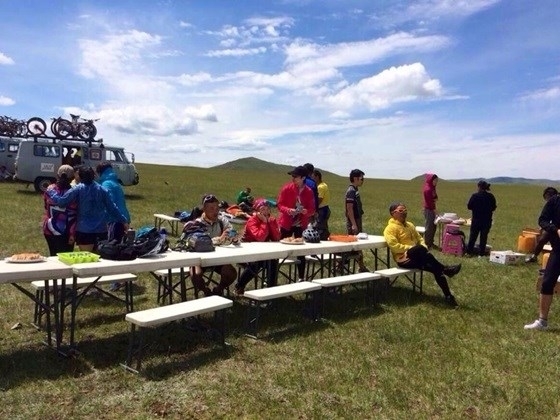 After hot showers we gather for a traditional Mongolian dinner. We today cycle up to lunch time. 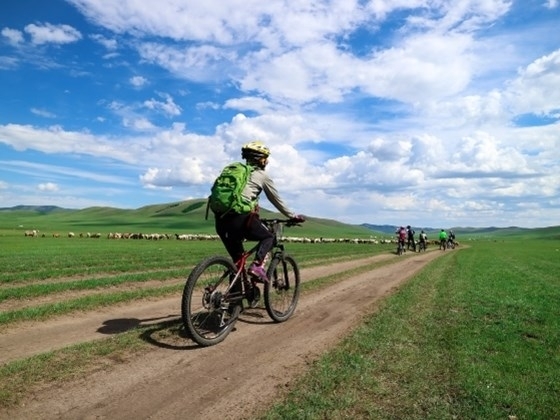 It is an easy ride across grassland with no significant ascents until we reach 25km. Here we have lunch while bikes are being loaded. 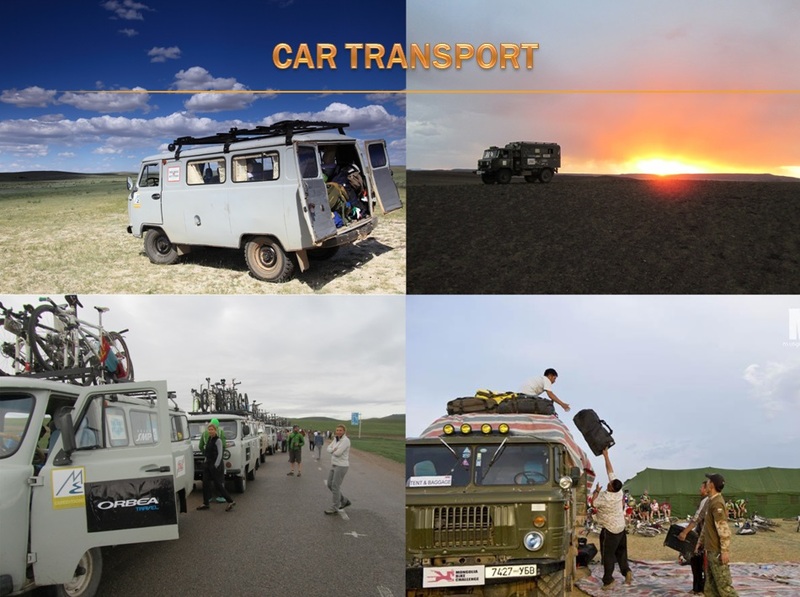 We then take a 2 hour return transfer back to Ulaanbaatar and to your hotel. You may enjoy the rest of the day shopping and exploring the capital. In the evening we all gather for a farewell dinner (at your own expense). 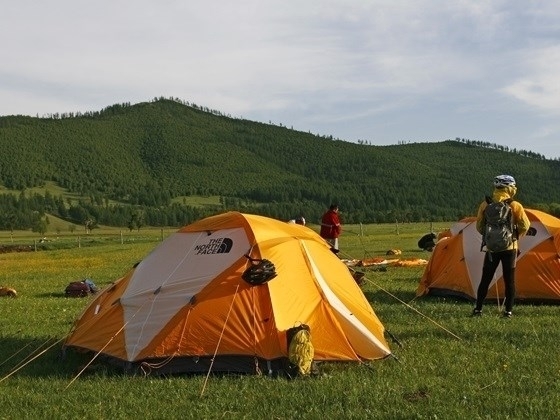 Roundtrip economy class air ticket between HongKong and Ulaanbaatar on MIAT Mongolian Airlines. 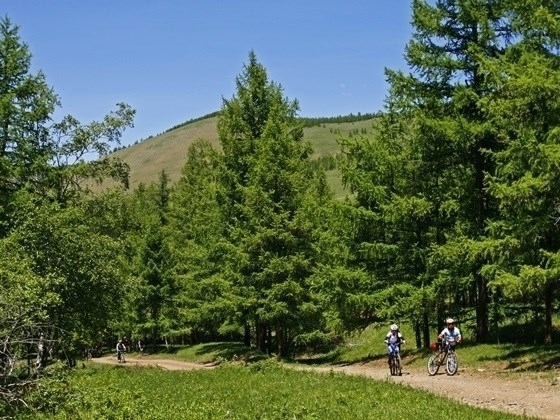 2 nights accommodation in Bayangol Hotel of Ulaanbaatar with breakfast. 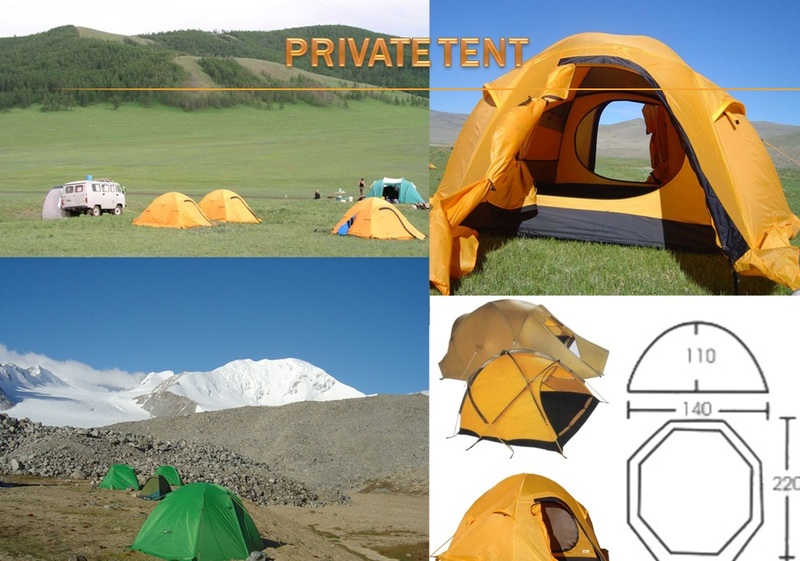 2 nights accommodation in tents. 1 night stay in tourist ger camp (share bath room). 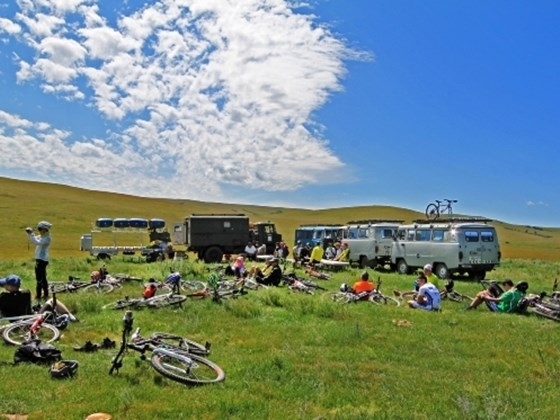 Meals mentioned in the itinerary, drinks & snacks during cycling. 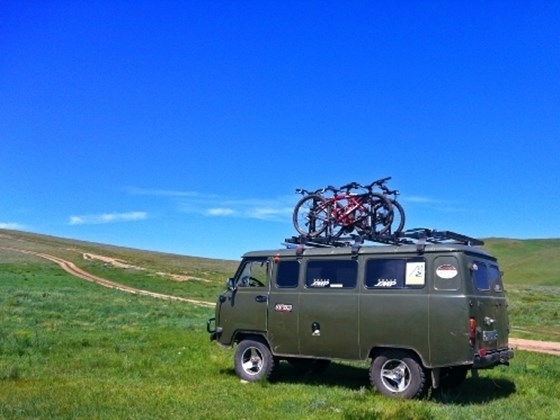 Russian 4WD vans equipped with bike racks as support vehicles during cycling. (around HKDHKD80, the package tour service charge is of a recommendatory nature). Visa fee, Personal Travel Insurance etc.